Cheese biscuits and cheese straws made with yellow cheddar cheese were an absolute staple when I was a young bride in Atlanta in the 60’s. If you didn’t have time or inclination to bake your own, you could always buy them almost anywhere. I don’t see them as much any more. 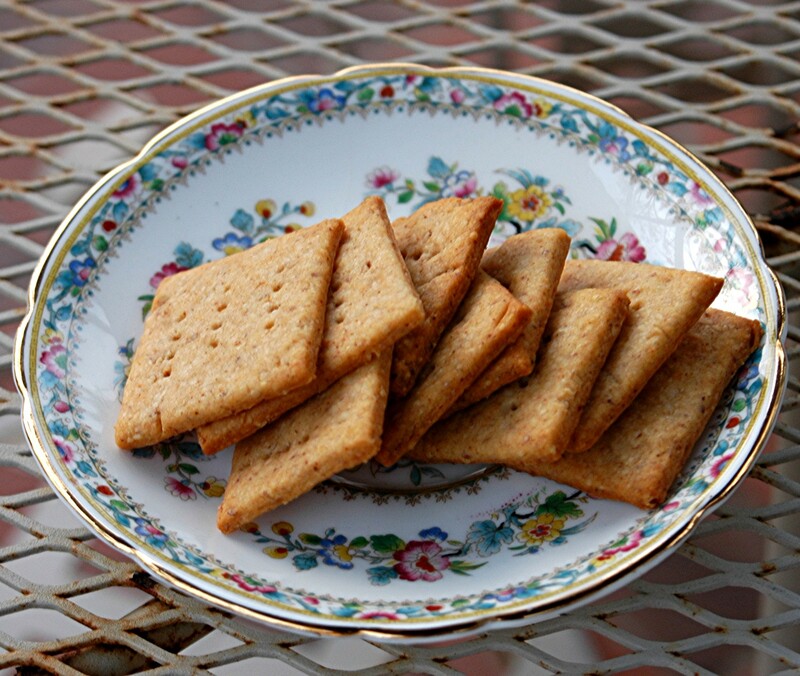 These biscuits are easy to make, they are versatile, but, because these little crackers are so spicy, they should be small. Note: * If salted pecans are used, omit the salt in the recipe. Combine all the ingredients except the water in a food processor. Process mixture until it resembles corm meal. Slowly add the ice water. Process until the mixture becomes a ball and starts leaving the sides of the processor. Transfer to a well floured surface and roll out to a thickness greater than 1/8” but not 1/4”. Cut with one inch cookie cutter. Since they are spicy, they are better bite-size. Place on an un-greased cookie sheet and bake in the middle of the oven for about 12 minutes. Remove onto a cooling rack and once the biscuits are cool, store in a tin can for up to a week. Alternatively, roll the dough out very thin, between 1/16th and 1/8th of an inch, and cut into squares. Place on un-greased cookie sheet and then prick with the tins of a fork. This version of the biscuit could double as the base for a little amuse bouche with a bite of prosciutto or other goodie.